← It’s Simply A Matter Of…..
It’s been a busy couple of weeks. Christmas planning, new products to develop, a visit to Prince Albert, a charcuterie course to plan for next year, supper to cook for the Commander, shoe boxes to fill with presents and that’s on top of the usual daily routine. Which is why having a gourmet meal cooked by Cape Towns chef to the rich and famous, Neill Anthony, was such a treat. The Commander and I attended his master class at the Bosch showroom in Montague Gardens and our taste buds were dazzled by his delicious and creative concoctions. The menu consisted of home made gnocchi with asparagus, baby chicken with broad beans and fennel puree and finished off with treacle tart and lemon confit. Sounds pretty simple and it was pretty simple and that is why it was so delicious. Each dish was made from top quality ingredients and Neill certainly understands how to combine food to bring out the best from each component without being too complicated or fussy. How often have you gone out to a restaurant and been disappointed with the meal that was served to you. Personally I find that this is usually a combination of inferior ingredients, a lack of understanding how they fit together and a tendency to over complicate dishes. Of course don’t forget the obligatory 75 word paragraph on the menu describing each dish and every ingredient in it along with some culinary prose that would have made even the bard blush. It is not a 5 minute meal and it does take a bit of planning and effort but it is not complicated and I really wish I could order it next time I have to go out for a meal instead of some boiled imported dumplings with canned sauce, sprinkled with cardboard droppings and a bowl of rehydrated garlic on the side. Sadly I know the only way to experience this again is to make it at home or get invited to the Anthony mansion. 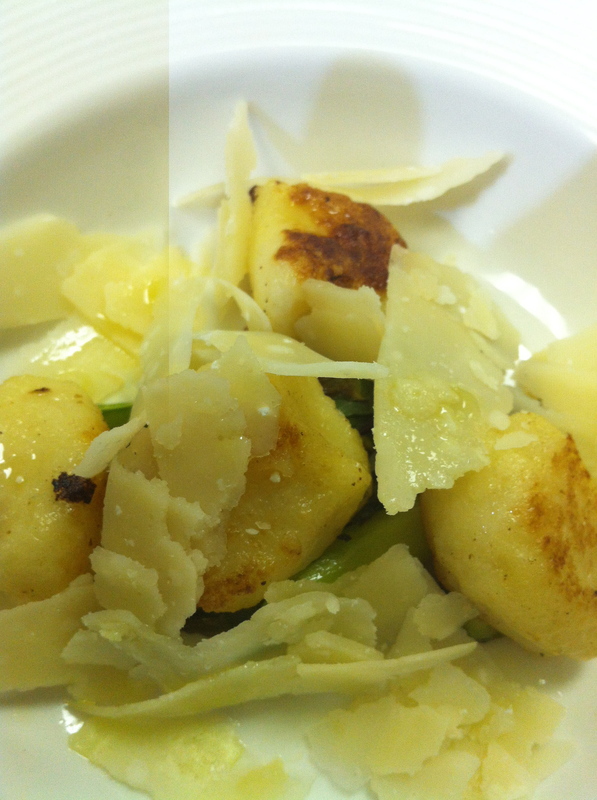 The Commander has recently moved from subtle hinting to outright orders so I think I will be making gnocchi this week. Of course it does help to have a pocket limey sous chef called Matt doing all the hard work and burning fingers while peeling hot baked potatoes while the master swans around taking the credit and telling stories about the time he taught Gordon how to make a souffle but at the end of the day Cape Town could use a few more chef’s like Neill (with two ll’s) Anthony! I was also lucky enough to be a guest at a dinner hosted by Breedekloof Wine and Tourism where Neill’s beautiful food was paired with local wines. I thought his food was exceptional – I loved every course – I think he should open his own little hole in the wall spot – nothing too fussy – just focussed on quality food. Then we can eat his gnocchi every week! This is a better late than never entry – that dish looks superb and delicious!